Exciting New Anthology from Ellen Datlow & Terri Windling! It’s not coming out until spring of 2013, but the cover was just unveiled for this new collection of stories edited by Ellen Datlow and Terri Windling. 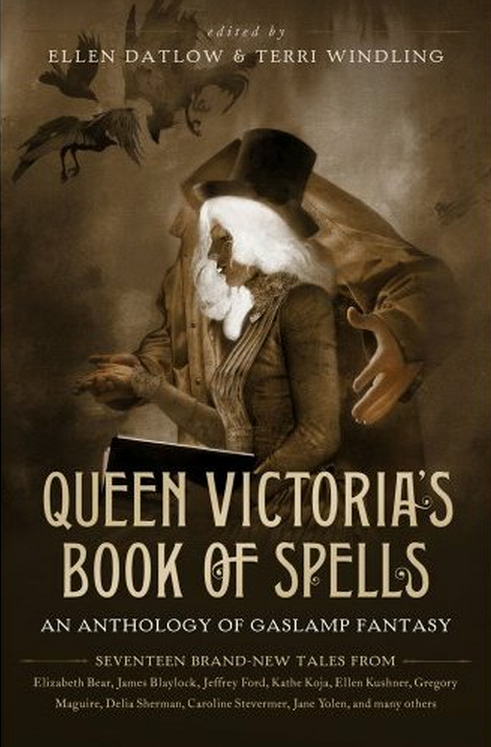 The stories are described as “Gaslamp fantasy” a term which is new to me, but this blogger describes as “Steampunk only with more of a focus on magic instead of tech.” Bring it on! For more details on this exciting anthology, check out the link to the blog post above. The art for this gorgeous cover is by Allen Williams. This looks great! I love a Datlow/Windling anthology!